Alpha Aviation celebrates its 24th anniversary of Aerial Work Services License. Alpha Aviation also has been maintained a perfect safety record since its inception in 1985. 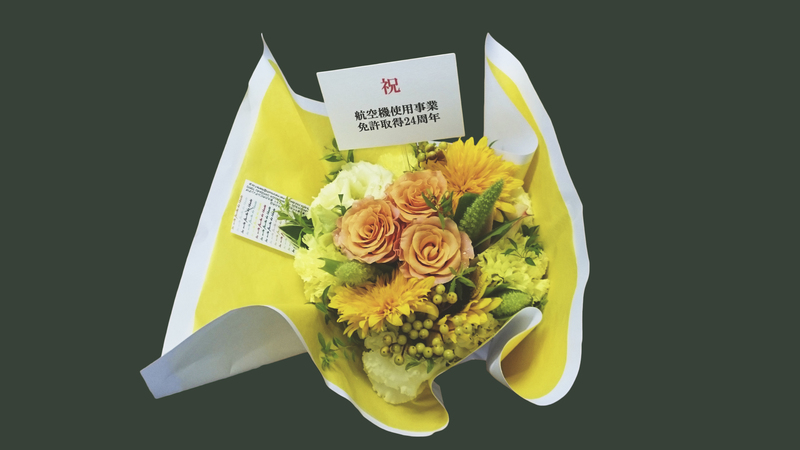 We received flowers from Tokyo Marine & Nichido Fire Insurance Co., Ltd. for our celebrations. We would like to express our sincere gratitude to all of you involved in this wonderful cooperation. We will keep working on safe operations. Perfect Safety Record for 33 years Anniversary!! The construction of the 2nd hangar has been completed! !